Have you ever lost your luggage while travelling? Most of us have at some point in our lives. Its a huge pain and hassle..
Wouldn't it be cool if you cold track your luggage yourself! like the idea of actually tracking your own luggage and not relying on what your told at whatever airport your at in the word. 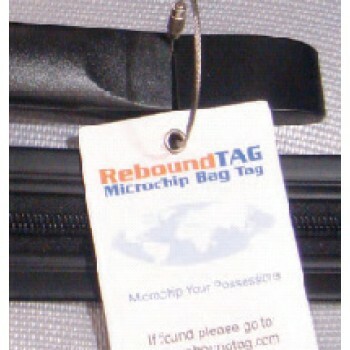 Rebound Tag is world’s first hi-Tech luggage tag that incorporates RFID technology and is designed to work in airports worldwide. 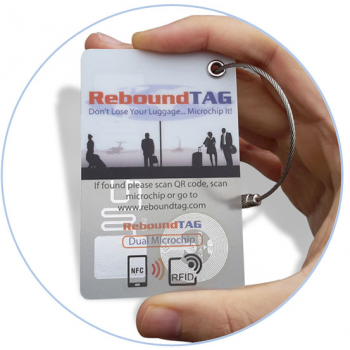 The Rebound tag integrates with worldwide baggage-handling systems to give users the ability to track their bags and receive SMS & email updates on the whereabouts of there luggage. Active Search™: worldwide exclusive arrangement with baggage handling company who will search lost luggage databases worldwide for your bag. This means that you can also be updated even if the standard paper airline bag tag is used to identify your bag. Uses every layer of technology relevant, radio frequency identification microchips, barcode, printed number, baggage handling integrations, and can also use the GPS in a finder’s smartphone to send map with exact location of bag to the owner.